The world needs professional family mediators who practice in accordance with APFM’s ethical standards. Without us, people who are struggling to resolve divorce, co-parenting, elder care, and other internal family conflicts are at high risk for getting involved with an adversarial legal system that will exacerbate and intensify conflicts. Without us, families are at high risk of wasting large amounts of wealth on processes that do not help them and may make things worse for their families. For the world to have enough family mediators, they must be able to earn their livings in this profession. Luckily for the public, there is an organization that helps mediators get started and then supports them every step of the way as they increase their skills and knowledge. That organization is the Academy of Professional Family Mediators. Many professional family mediators are having a hard time earning a living, partly because most of the public does not know that this profession exists. Those who have heard of family mediators often do not understand what we do. Some think that mediation is what is done by many retired judges who call themselves “mediators”: They hear arguments, tell parties what the Court would decide, and then pressure the parties to accept that as their “voluntary” settlement. In contrast, APFM mediators take a client-centered approach to mediation. We help parties to identify issues, needs, and interests, and to reduce obstacles to communication. We respect the parties’ abilities to develop their own solutions. We help them explore options and consider long-term consequences of various possible decisions. We behave in an impartial and supportive manner. After acquiring initial training in family mediation, new mediators need ways to find their first clients and build their practices. APFM can help them learn how to do that. They also need to learn additional skills from other mediators. APFM helps with that, too. To succeed in helping the people who need professional family mediators find us, we need our national organization, APFM, to educate the public. Acting as individuals, mediators cannot educate everyone in their communities about mediation. 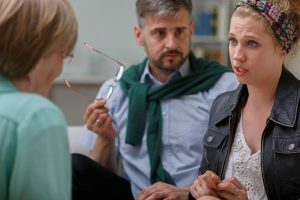 When family members have a conflict that they are unable to resolve without professional assistance, mediation should be their first choice among the possible approaches. We need APFM to help teach the world to seek us out when their families need us. 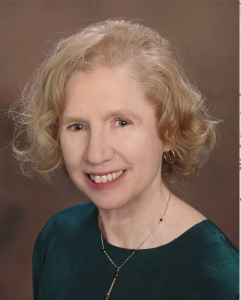 Doing these things well — educating mediators, helping them build their practices, and educating the public — requires APFM to have a critical mass of members that includes both well-established mediators and newly aspiring mediators. To help new mediators, we need to bring them into a network of experienced mediators who are willing to mentor those with less experience. Still a young nonprofit organization, APFM has made a good beginning. To be more effective, we need everyone who has been mediating for families for twenty or thirty years to join us and strengthen APFM. We need everyone who trains new family mediators to encourage them to join APFM. If you are a person who cares about ethical, client-centered professional family mediation, APFM needs you. Please Join Us Now!